Find our other UDC Social Media accounts in the directory below. Over the past several years, the use of social media has increased exponentially. It is now a way of life for many of us, just like our morning workout or cup of coffee. People are using more than just Facebook, Twitter, and LinkedIn. The use of popular sites such as Pinterest, Flikr, Digg, StumbleUpon, Google+, and many others, are also gaining much traction. At UDC, we recognize that social media sites have become important and influential communication channels for our community. To assist in posting content and managing these sites, the University has developed Social Media Guidelines for official and personal use of social media. These guidelines apply to University faculty, staff and registered student organizations and can be used in connection with social media accounts associated with schools, colleges, departments, programs and offices. Already managing a UDC social media page and don’t see it listed below? Please be sure to let us know by filling out the Social Media Directory Registration form and we will be sure to list you in our directory of UDC social media pages. Questions, comments or suggestions? 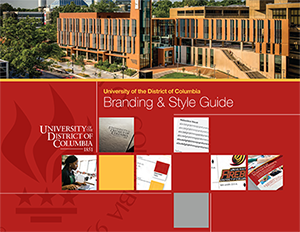 Contact us at SocialMedia@udc.edu. Add an entry to this directory using our Social Media Directory Registration form.